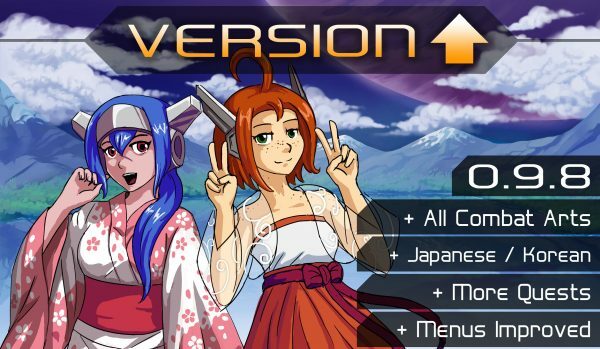 After several month of collaboration with our new partners we’re happy to announce that CrossCode now supports two more languages! 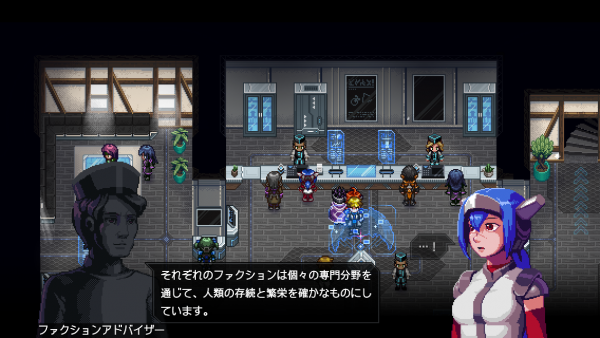 First: a Japanese localization by Dangen Entertainment! It’s like one of your Japanese JRPGs! 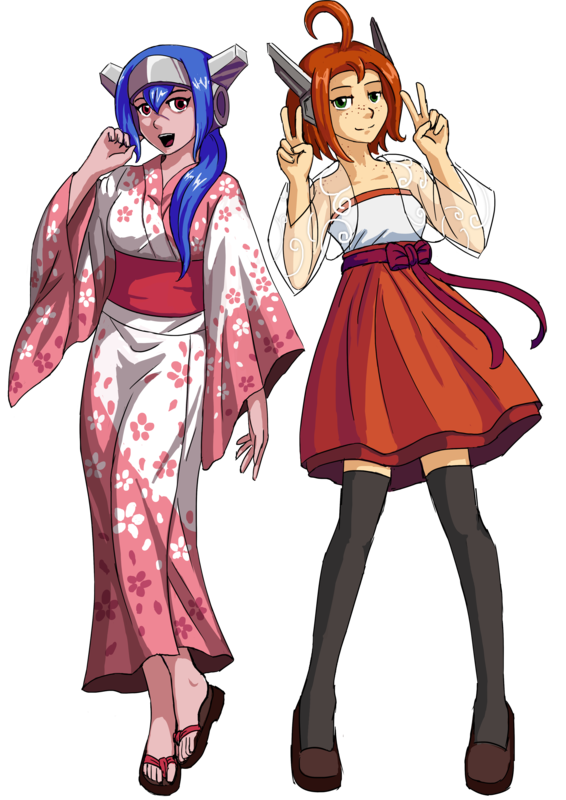 Second: a Korean localization by Mayflower Entertainment! We really hope the translations are good! 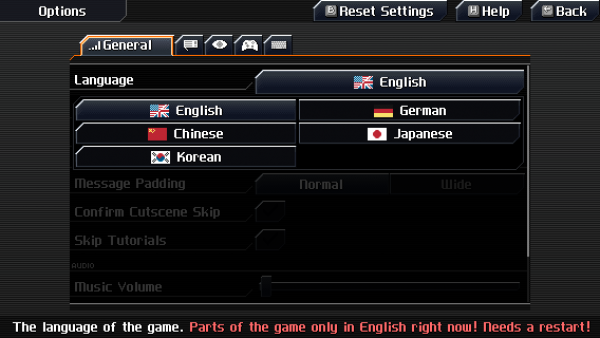 You can select the new languages within the options. Remember to restart the game! It’s finally done! 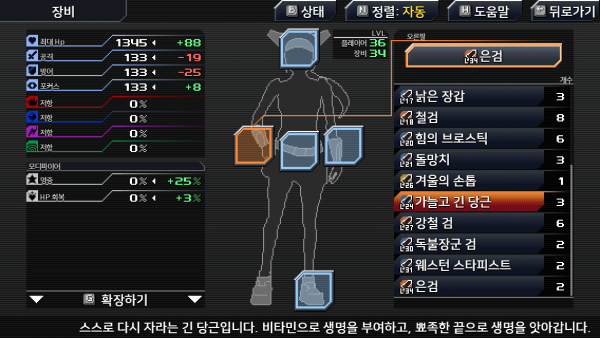 This version comes with all level 3 combat arts fully implemented! In order to learn those arts you’ll have to collect the Star Shade at the end of the Jungle dungeon. Once learned you’ll need to spend 6 SP in order to use them. The good news is: We’ll upgrade your MAX SP to 12 (which means 3 SP on battle start) once you collect the Star Shade! So gathering the necessary SP should be somewhat quicker. 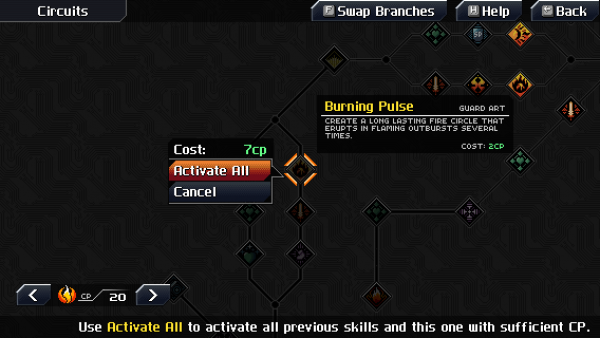 We made several small improvements for menus and interface. Quest marking has changed. 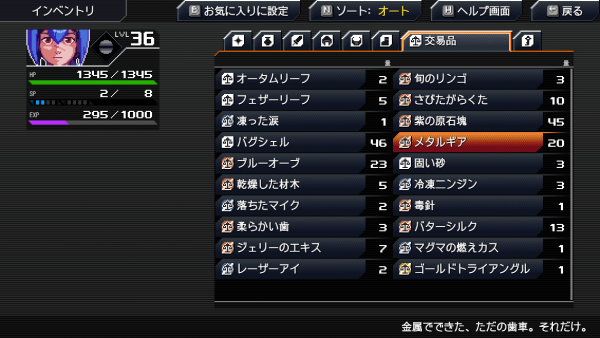 You can now mark multiple quests inside the menu and you can only switch between marked quest on the field. We properly integrated a Circuit Reset option! You can visit a terminal in Rookie Harbor that allows you to reset individual Circuit trees. 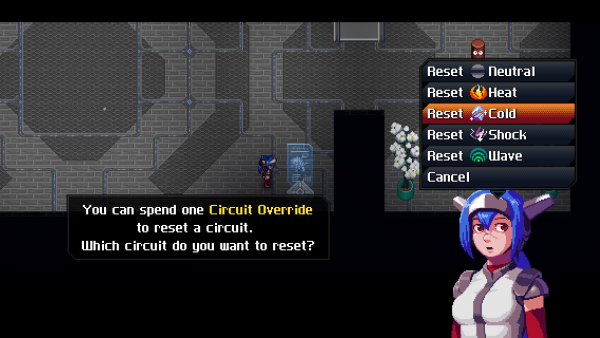 However, resetting isn’t as cheap anymore: you’ll need to use a Circuit Override item that you will get on several occasions during the plot. We might also add a trading option later on. 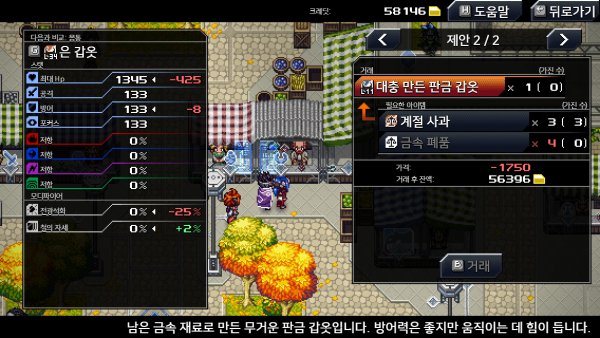 To reskill yourself even faster you also now have the option to learn several skills in one go! There are also several small QoL improvements like grayed trading items in the preview if you can’t trade them yet, and number of collected chests visible on the world map. 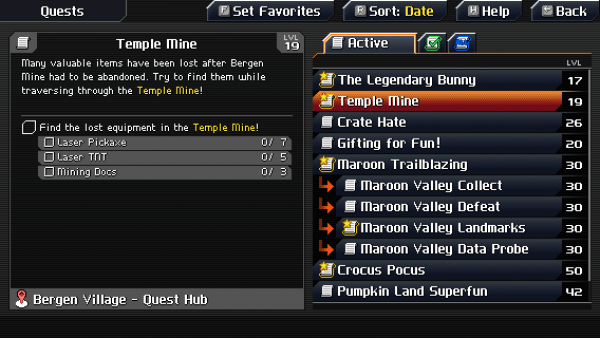 This version comes with a few more quests as well! Two of them are found in Rookie Harbor and another one in Gaia’s Garden! There’s even a little boss fight included! Just like the last release, this one is again rather small. 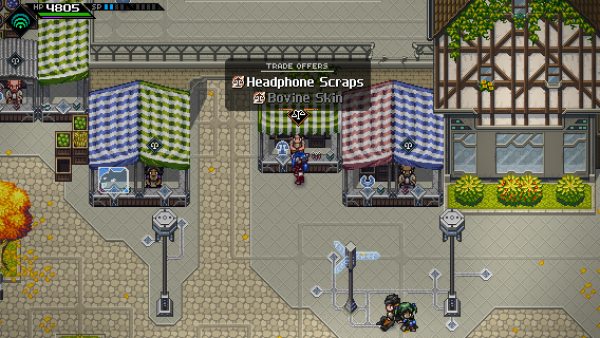 We’re still working on more content in the background that will be released with version 1.0! So once again… Sorry for the small update but we hope that the wait will be worth it once version 1.0 will be out! We hope you have fun with version 0.9.8 and let’s hope there’s a limit to the amount of bugs! Hi guys. Thanks for this amazing work ! Any information on a potential french version? Good luck for the last rush ! ANTICIPATION INTENSIFIES :) Can’t wait to try it out. Thanks for the update. When do we get the 1.00 release version?